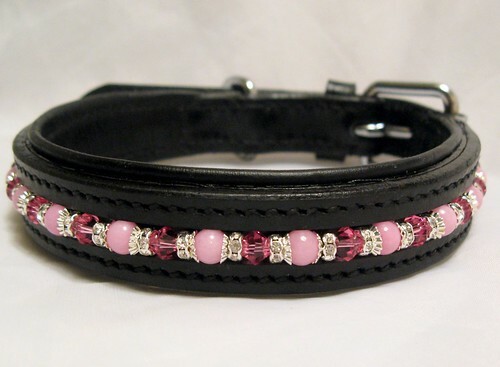 Beautiful handmade beaded dog collar, made in the USA. Premium soft padded leather. 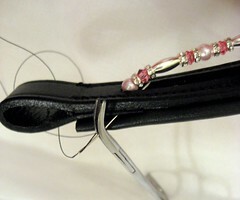 Purple Madagascar Striped gemstones alternate with crystal rondelles in this beautiful handmade beaded dog collar, sewn in the USA. Premium black soft padded leather. Vethical SkinGuard0 Medicated Soothing Shampoo with Colloidal Oatmeal for Dogs, Cats, and Horses.